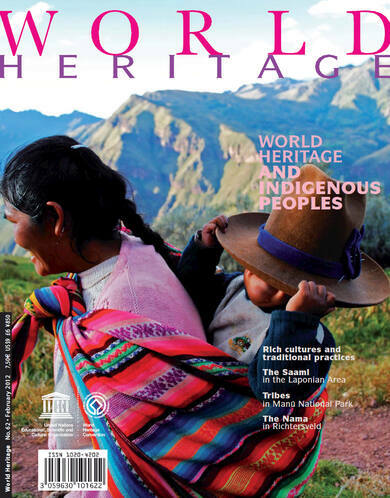 This edition of World Heritage is devoted to the enduring relationship between a number of World Heritage sites and the indigenous peoples that inhabit them. For historical, cultural and practical reasons this is a complex and sensitive matter, but the very fact that it has become a focus of attention holds great promise for the future. 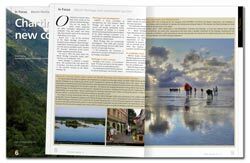 Forty years ago, framers of the UNESCO World Heritage Convention sensed the need to grant formal protection to the most exceptional cultural and natural sites, including those that appeared threatened by the swift and far-reaching transformations through which the world was then (and still is) going. The rich cultures and traditional practices of indigenous peoples and the issues they face in today’s world relate to many spheres, including economic development, the environment and human rights. In autumn 2011, a new organization, with Saami majority, was established. The organization developed a common and participatory management in the protected areas of Laponian World Heritage. Since the creation of the Peruvian Service of Natural Protected Areas, Manú National Park has grown in a sustainable manner with financial and human resources but faces insufficient protection for isolated tribes. Transhumance pastoralism, practiced by the Nama people to this day, has shaped the landscape of Richtersveld. The relationship between indigenous peoples and heritage places, between aboriginal peoples and their cultural and natural environment, is an important issue. Myrna Cunningham, Chair of the United Nations Permanent Forum on Indigenous Issues (UNPFII). 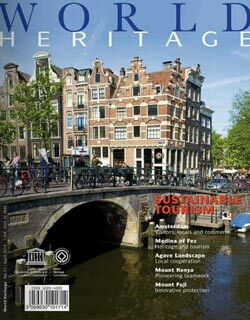 ICOMOS: Our Common Dignity – rights-based approaches to heritage management. Traditional knowledge, the Convention on Biological Diversity and World Heritage. World Heritage in Libya; 18th General Assembly meets at UNESCO; French meet on heritage management protection; Arctic clean-up; Marine spatial planning training in Mexico; Biodiversity boosted; Rapid Response Facility in action; Elwha River restoration at Olympic National Park; Historic Urban Landscape: test run. Illegal logging threatening Madagascar rainforest; Progress on reconstruction after fire at Kasubi. Youth volunteers around the world; Launch of 40th anniversary year; Patrimonito selects winners; Remembering Wangari Maathai; 2011–2012 World Heritage map available; Newspaper brings Europe and the Middle East closer; World Heritage Centre and Turismo de Portugal cooperate on tourism; The Case of the Lost World Heritage, 4th episode.